A total of 46 teams representing 26 clubs won division championships at the Capital Fall Classic Boys Weekend. 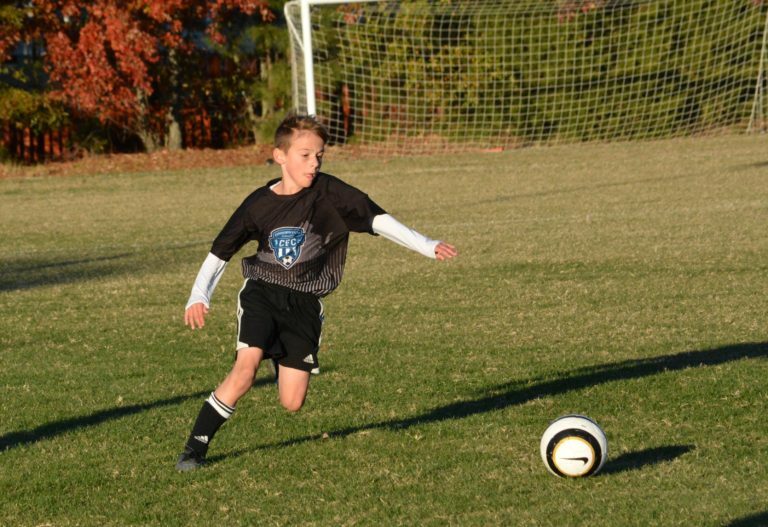 Three of the Jefferson Cup qualifiers represent Williamsburg-based Virginia Legacy SC, which had teams win Premier Divisions in the U-12, U-13 and U-15 age groups. The Legacy CCL Elite U-12s posted a perfect 4-0-0 record, racking up 15 goals while earning four straight clean sheets on the defensive end. The Legacy CCL Elite U-13s earned a win and a draw in group play to reach the semifinals, where they stormed past North Carolina side XL Soccer World 04 Elite Rangers 4-0. In the U-13 Final, Legacy edged Stafford Revolution 04 Blue by a 3-2 score in a rematch of their Group A battle which ended in a draw. 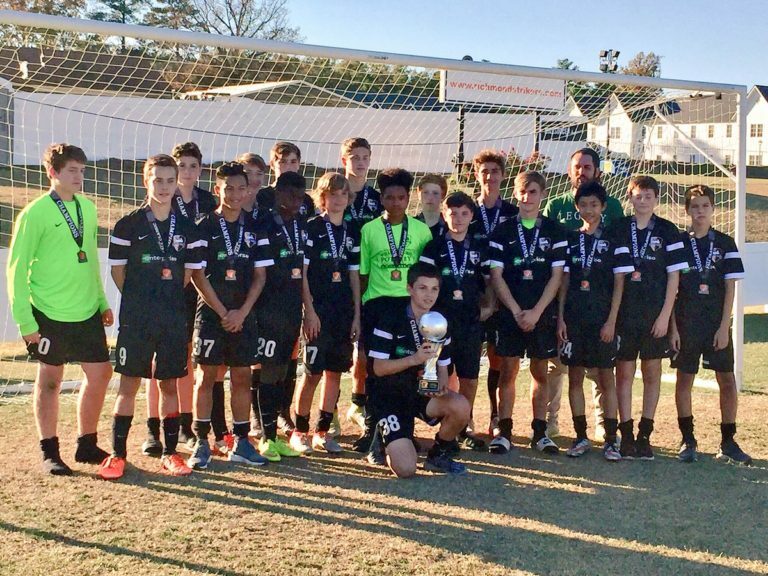 The Virginia Legacy Wizards claimed the U-15 Premier Black Division, sweeping Group A with three straight wins before a 2-1 victory against Stafford Revolution 02 Blue in an evenly-matched Final. Ohio club Soccer Vision Academy had two teams claim Premier Division titles, ensuring they will return to Virginia in March for the Jefferson Cup. U-10 side Soccer Vision Academy Bayern and U-14 side Soccer Vision Academy Project24 both ran the table in their respective divisions, each cruising to four consecutive multiple goal victories. A pair of Virginia clubs – the Richmond Kickers and host Richmond Strikers – also had two teams each stamp their tickets to the Jefferson Cup. Richmond Kickers Elite 98 racked up four straight wins in the U-17/18 Premier Division, outscoring three group opponents by a 10-2 margin before a narrow 2-1 win over FC Richmond Magic 98 in the Final. Meanwhile, Richmond Kickers Elite 99 earned three straight draws to place second in a highly competitive group, then defeated Richmond Strikers Elite 98/99 Orange by a 3-1 scoreline in the title match. Richmond Strikers 06 Elite Black and Richmond Strikers 01 Elite won the U-11 and U-16 Premier Divisions respectively, each winning four straight games in the process. Both were met with tough match-ups in the Finals, as Strikers 06 Elite Black edged Maryland side Bowie Bulldogs 2-1 and Strikers 01 Elite defeated North Carolina’s Triad Elite SC Red by the same margin. In the other Jefferson Cup qualifying group at the U-15 level, Virginia Rush 02 claimed the Premier Orange Division championship. After opening the weekend with a 2-1 loss against FC Richmond Magic 02, Rush reeled off three straight wins to claim the division title, culminating with a 3-0 shutout of Richmond Strikers 02 Elite in the Final. 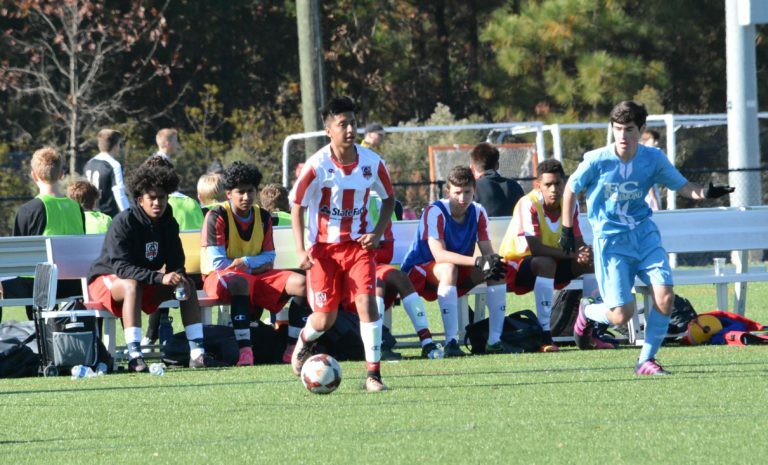 Rounding out the list of Jeff Cup qualifiers is Annandale United FC 00, which posted an unbeaten 3-0-1 record in the U-17 Premier Division. Annandale finished atop Group B with two wins and a draw, outscoring the competition 8-2. In the title match, United emerged with a 2-1 victory over Richmond Strikers 00 Elite. Overall, nine clubs – Richmond Strikers (8), Premier AC (6), Culpeper Comets (3), Virginia Legacy SC (3), Virginia Rush (2), SOCA (2), Richmond Kickers (2), Soccer Vision Academy (2) and Tidewater Sharks (2) – had multiple teams capture division championships, competing among the 319 total teams from seven states. Other clubs that had teams win a division title include: Valley AFC, Locomotive FC, Fredericksburg FC, Annandale United FC, Virginia Soccer Association, Bethesda SC, Beach FC, Old Dominion FC, International FC, Dynamo SC, Herndon Youth Soccer, La Plata Soccer Academy, FC Richmond, FCI Soccer Academy, Tri County SC and Gunston SC. The Capital Fall Classic will continue with the Girls Weekend from November 19-20, including 214 teams representing clubs from seven different states. In total, more than 530 teams will participate in the tournament over the course of the two weekends. See below for the list of division champions and finalists from the Boys Weekend.